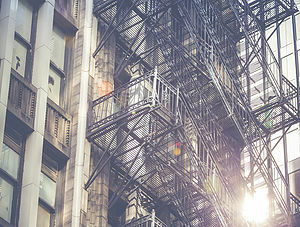 Precision Iron Works specializes commercial and industrial fire escape repair Chicago IL. 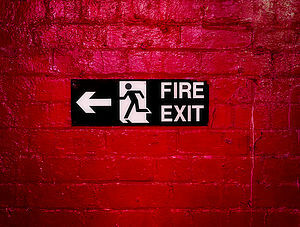 If you are looking for exceptional Fire Escape Repair and Painting work you have come to the right place. We also offer fine ornamental iron work and industrial manufactured iron products, including balconies, fire escapes, and iron fences. As an iron products manufacturing plant Precision Iron Works has proudly served the Chicago, IL metro area for over 35 years. We are fully licensed and insured for all of our projects which gives you confidence that your fire escape repair project in Chicago IL will be a safely executed project. We also offer our precise iron work for balconies, steel stairs and iron fences. At Precision Iron Works our products are well-made to ensure your safety as well as your satisfaction. We comply with all city codes and can help resolve all violations with our fire escape repair and painting services. 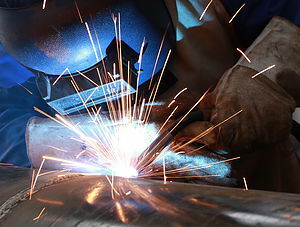 Precision Iron Works also offers 24-hour emergency service and free estimates. For more information call Precision Iron Works today! Precision Iron Works looks forward to working with you for all of your fire escape repair needs in Chicago IL. For 35 years we’ve been serving the Chicagoland area and will be happy to give you any referrals for projects we’ve done. Our customers will feel confident knowing that any concerns from the fire department, city of chicago department of buildings will be inspected and corrected to fit all standards and codes. If you would like additional information on how we can continue to keep your fire escape maintained feel free to contact us as well. For any inquiries, questions or commendations, please call: 630-761-8004 or fill out the following form.